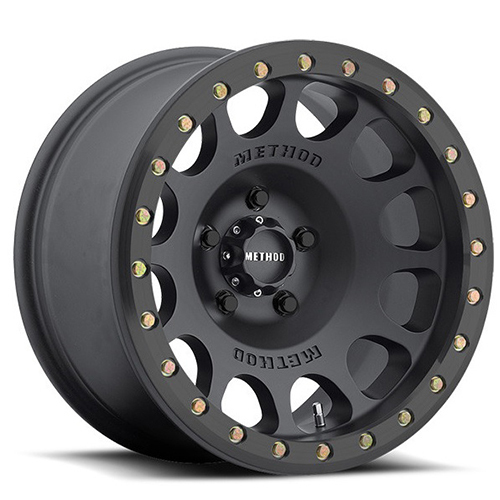 You can buy the Method Race Wheels MR105 Matte Black 17x8.5 6x135 0 Offset 87 Hub wheels from All Star Motorsports at some of the lowest prices on the internet. The Method Race Wheels MR105 Matte Black 17x8.5 6x135 0 Offset 87 Hub wheels are available in a variety of sizes and finishes. Clean styling and quality design make for a powerful presence when riding in style. Quality craftsmanship, precision paint and masterful machining are some of the aspects that make these wheels the perfect option for your wheel purchase. Combine these wheels with any of our vast variety of tires for a complete All Star package. Included in our packages are free mount & balance, free lugs, free locks and free hub rings. Need tire pressure sensors? We offer those for an additional fee. All we need is your vehicle information and in rare occasions, your vehicle identification number (VIN code). Don't worry about the fitment; let us take care of that. Our experts can recommend the best fitment for your vehicle. Every wheel and tire is checked for quality and packaged with the utmost care to ensure your order arrives without any damage. The year, make and model of your vehicle is all we need to secure the proper fitment for your car or truck. With over 50 years of experience, put our knowledge to work for you. Let us help you with your All Star package. You can get these 245/70R17 110T Hercules HTS Terra Trac 2457017 Inch tires from All Star Motorsports. 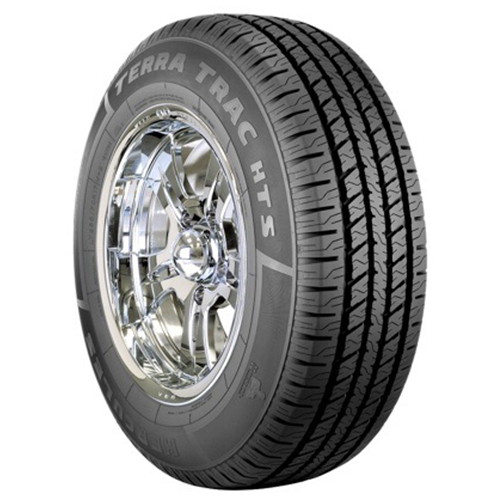 With the lowest prices on the internet, these 245/70R17 110T Hercules HTS Terra Trac 2457017 Inch tires are built with the finest materials and technology to provide a smooth ride and great traction. With a wide range of sizes, All Star Motorsports has the tires you are looking for. Match them up with any of our wide variety of wheels for a complete wheel & tire package. Included in our packages are free mount & balance, free lugs, free locks and free hub rings. Need tire pressure sensors? We offer those for an additional fee. All we need is your vehicle information and in rare occasions, your vehicle identification number (VIN code). We are the professionals. Let us worry about the fitment. All you need to worry about is finding the wheel and tire package of your dreams. With the year, make and model, we have all the necessary information we need to secure the proper fitment for your car or truck. Please note: if you already have a modified suspension please inform your All Star representative to help guarantee fit. Order your All Star package today!